*No experience necessary for most rentals except for sailboats. Rentals are for 1/2 hour. 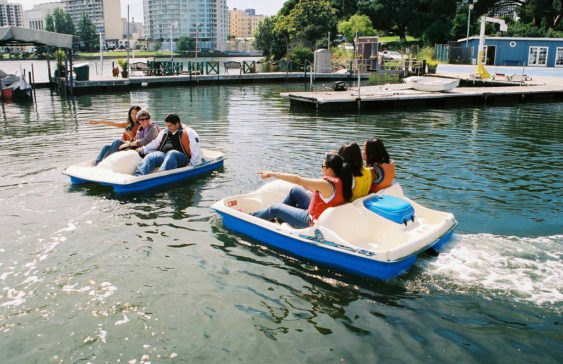 The Lake Merritt Boating Center invites you to National Recreation & Parks Month with free boat rentals and an open house from 1-3 pm on Saturday, July 20, 2019. If past years are any indication, you can get ½ hour of free time floating around picturesque Lake Merritt. You can find free parking on Grand Ave., otherwise there is a $5 Lakeside Park parking charge. We expect it will be the same this year. For lovers of free things, boats, and geese, this is a dream come true. For more information, call (510) 238-2196.